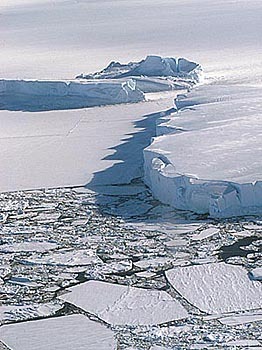 Please check our Icebreaker Expedition for availability. Travel to the White Continent by 6-hour flight from Cape Town on an expedition of a lifetime. Stand on the ice, see the icebergs, have your passport stamped and watch the eclipse in full comfort! Enjoy 3 days touring CapeTown with its whales, penguins and glorious mountains. Then, join our experienced expedition staff aboard our passenger flight to our specially prepared Antarctic Eclipse Site. Complete with electrical power, heat and comfortable beds, you will find civilization at the Novo airstrip base camp a comfortable surprise. Astronomical Tours recently visited Novo in Antarctica and has pre-selected the viewing site, organized every detail in advance on your behalf. With unusual eclipse geometry, we have performed dozens of calculations to assure a beautiful eclipse view from this location. This expedition shall be the most exciting and epic journey an astronomer could dream about. Request Information Ask a question or have a free brochure package sent to you today. Register Today! Click here to register before April 15th and qualify for $500 in savings. How cold is it? It won't be as cold as you think! A packing list for Antarctica. Base-Camp What will the accommodation be like in Antarctica? Weather Novo and Maitri present the BEST WEATHER odds for success! Barrier Flight The most awe-inspiring iceberg and glacial scienery of your lifetime. Marvelous Toys! 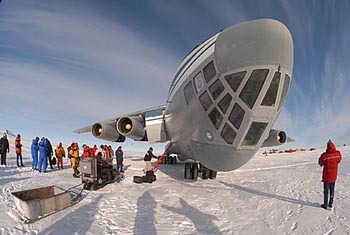 How you will be getting around - Antarctic stlye! ALCI and CTC More about our South African and Antarctic hosts. information and updates to the site regularly!